Yes, I already reviewed this book for another publication, but I can’t help it: It’s just that good (and no one’s paying me to say that. Promise). This review was originally published in its entirety on Worn Through, a blog written by fashion academics and curators, which is a great resource for those looking to learn more about clothing from an academic standpoint. …Moreover, Women in Clothes is peppered with unconventional imagery that enhances the overall thrust of the volume without appearing overly illustrative or flashy. 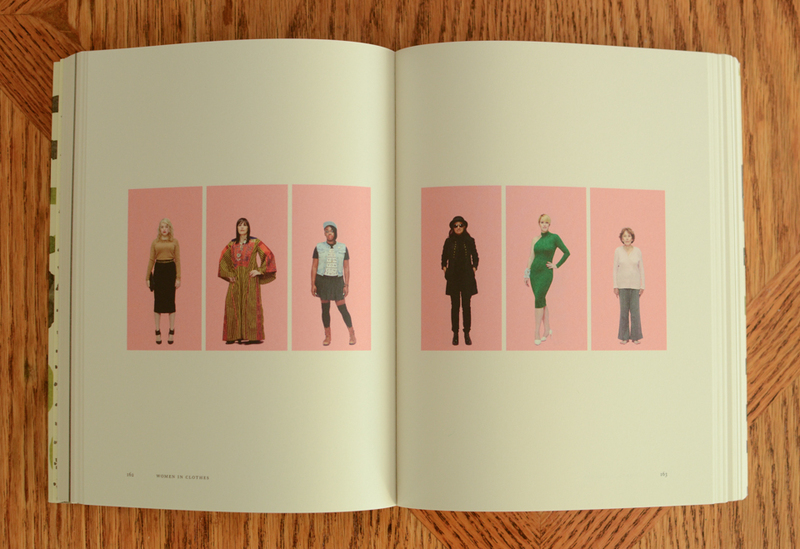 While many books dealing with contemporary fashion rely heavily on glossy images that render them almost magazine-like—an approach that may garner instant appeal but also makes the content feel quickly dated—the visual aspect of Women in Clothes appropriately mirrors the current but somehow timeless nature of the interviews. The collections of images included stand as entries in their own right, rather than accompanying specific texts. Both recurring visual motifs and one-off artworks exist in the volume. Examples of the former include photographic records of items people collect in multiple, from denim jackets to vintage three-inch heels, while the latter describes anything from india ink paintings of clothing stains to a line drawing of clothes discarded on the floor while getting dressed for a special event. One Response to "Women in Clothes Book Review – Worn Through"